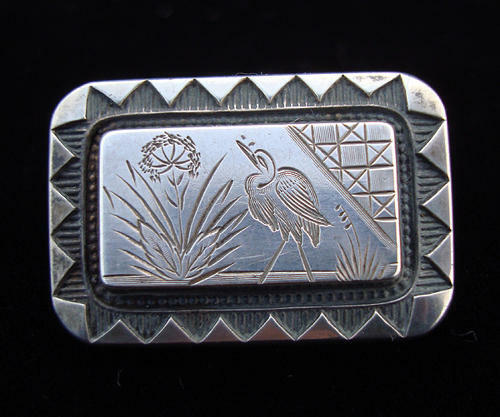 Attractive Victorian silver Whooping Crane brooch, aesthetic Japanese style with an exotic flower, marsh grass and a Whooping Crane. Good condition with original C clasp and hinge. Size: 1 1/4 inches in length x 3/4 inches wide.